I'm so excited to share the Forgotten Grotto with you. 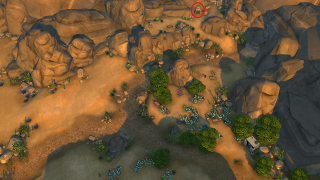 This amazing, hidden and secret lot is full of beautiful scenery and awesome items for your Sims to collect. 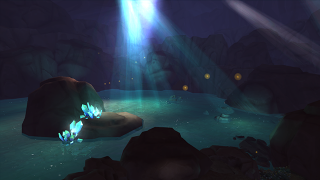 The first thing you need to know is how to get your Sims to the Forgotten Grotto. To start, your Sims will need to be level 10 in the Handiness Skill. This is very important as you cannot gain access to the secret mineshaft without it. Once your Sim is ready, head on over to the Oasis Springs Neighborhood Park. Towards the back of the lot you will see some bathroom stalls near the Picnic area. Just a little bit further down you will see the entrance to the mine hidden in the rocks. This is where having level 10 in the Handiness skill really does comes in handy! Your Sim will need to break open the wood boards to gain access to the grotto. Your journey doesn’t end there though. You will need to answer three questions correctly to gain access. I don't want to spoil the fun for you so I won't give you the answers to the questions, but they are not hard. I promise. Once you are inside, feel free to take a good look around this wondrous place. 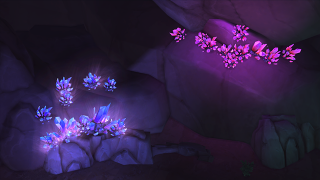 You will see lots of beautiful scenery and pretty gems growing on the rocks. Before you go off exploring, you may want to check your Sim's needs. There is a toilet right near the entrance, so you don’t have to worry about Bladder Failure! 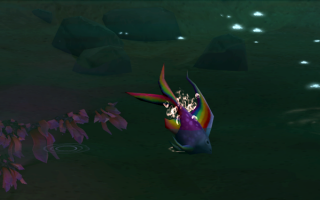 Once you go deeper into the grotto you will find lots of hidden treasures in the river, like the Spooky Batfish and the beautiful Rainbowfish. For those of you who like collecting, there are other items like capsules, fossils, frogs, metals, and seeds to find too! Unfortunately you can’t live in the Grotto so once you’re done exploring your Sims will need to return home. Luckily you can take a little piece of the grotto with you! 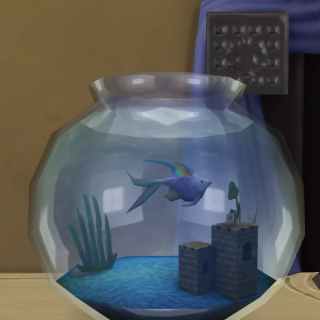 Any fish you collect can be kept as pets in a Fish bowl (or mounted and hung on the wall if you’re not a fish bowl type Sim). I love looking at them! I hope this short guide helped you to discover the Forgotten Grotto and have fun! Feel free to Tweet me photos of your Sims having a great time exploring at @EmSims81. Happy Simming!